ARIAT bi-fold leather wallet! 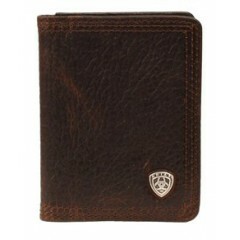 Ariat Bi-fod wallet Brown leather Id slot 6 Credit card ..
New to westernhats.com!! 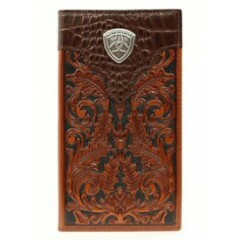 Ariat brown tooled leather rodeo wallet! Ariat Brown tooled ..
New to westernhats.com!! 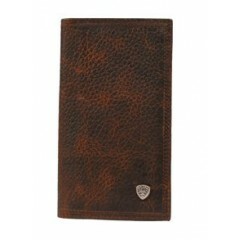 Ariat rough leather dark brown bi-fold wallet! Ariat Dark br..
New to westernhats.com!! 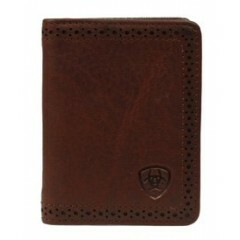 Ariat rough leather dark brown rodeo wallet! Ariat Dark brow..
New to westernhats.com!! 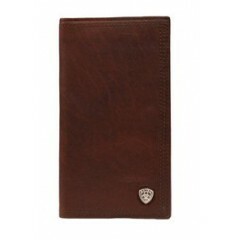 Ariat smooth brown bi-fold wallet! Ariat Smooth brown 6 Cr..
New to westernhats.com!! 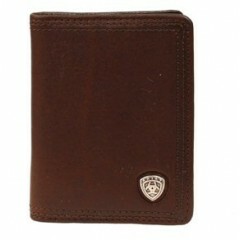 Ariat smooth leather rodeo wallet in brown! Ariat Brown smoo..